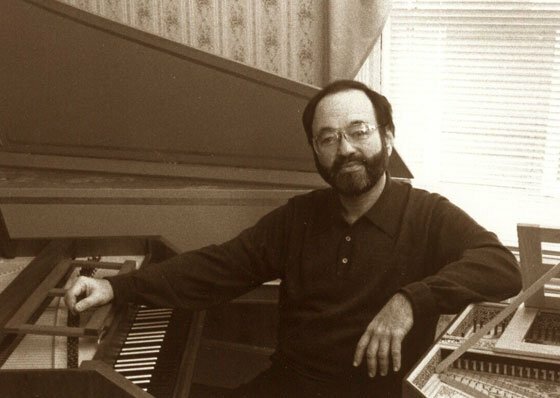 Boston’s celebrated harpsichordist and scholar Mark Kroll will perform two ordres of keyboard pieces by François Couperin on Thursday, October 25th in the Early Music Thursdays series at First Church in Boston, 66 Marlborough Street, where from 12:15 – 12:45 pm. on every Thursday through February 7th, the church will be presenting free harpsichord recitals and concerts on period instruments. We had a chance to sit and discuss Couperin with Mr. Kroll and to hear his views on performing the great master’s works. Leon Golub: You will be playing the Dixhuitème Ordre and the Quatriême Ordre of harpsichord pieces by François Couperin, often called “Le Grand.” Tell us about him and why he composed these pieces. Lifelike indeed! Couperin was the absolute master at this. He was, in fact, the greatest composer of harpsichord music of the Baroque era — or any era, for that matter. Now before people start throwing their croissants at me, I am not saying he was the greatest composer of the Baroque, just the absolutely best composer for the harpsichord. No one wrote more idiomatically or colorfully for the instrument. Or to put it another way, Couperin is to the harpsichord as Chopin is to the piano. There is a reason he was called “le Grand” in his own lifetime. In fact, after he published his first book of harpsichord pieces, every other composer stopped. The way that you play Couperin’s harpsichord music is quite different from what we typically hear. What is it that you do differently? I am so glad you asked…and noticed! The harpsichord is a highly expressive instrument, capable of producing a beautiful singing line that can be molded and phrased with great subtlety. Instrumentalists are always being urged to imitate the human voice, to ‘‘let it sing.’’ The harpsichord can come closer to that ideal than other keyboard instrument because its incisive attack enables the player to produce not only the vowels but also the consonants inherent in every melodic line. To achieve this, they must create the impression of musical inflection where none really exists. This is accomplished not by wild fluctuations in tempo, heavy agogic accents, and supposedly expressive distortions of the musical line — the international style of harpsichord playing to which listeners have become accustomed — but rather by articulation, the subtle manipulation of the duration of tones in which notes are sustained longer or released sooner than their written values. The spectrum of articulations is large, in fact almost infinite, and the gradations of holding down or shortening are so fine and numerous that they are almost impossible to notate. Or to put it another way, all inflection on the harpsichord is created before and between the notes: by the time you have struck a key, it is too late! Admittedly, this is not easy to master, but it is the only way to play the instrument expressively without distorting the music itself. There is much more to this art that I could, or should explain here. In fact, I wrote a little book about it, titled, not surprisingly Playing the Harpsichord Expressively. Amazon has it, but I don’t think it will ever come out on Kindle. So yes, I do play differently than most harpsichordists these days, but I am not implying that “après moi, le déluge” — although it might not be a bad idea to buy a big boat. A relaxed Mark Kroll not too long ago. The music certainly carries a great deal of power in and of itself, but what can you tell us about these pieces that can help the listener get even more out of hearing them? The two suites of pieces (or ordres, as Couperin called them) I will play on this concert are superb examples of Couperin’s descriptive skills. The Dixhuitième Ordre, which appears in the third book of harpsichord pieces (1722), is entirely devoted to the theater. 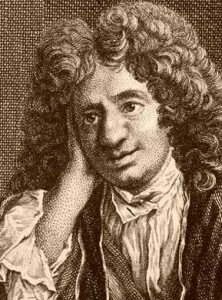 Couperin loved the theater, whether it was a classical drama at the French Academy or one of the bawdy comedy/vaudeville shows at the popular Parisian fairs that he often visited. In this ordre listeners hear not only the rhetorical gestures of a great tragic actor, but also the music that accompanied the tightrope walker and burlesque acts at the Parisian fairs in St. Germain-en-Laye. In the Quatriême Ordre, from his first book of harpsichord pieces, Couperin pokes fun at some of his contemporaries, in this case a regiment of soldiers who seem to have liked drinking as much as marching. He also supplies the sound of an alarm clock (La Réveil-matin) that might have been used to wake up the soldiers after a heavy night of boozing. Couperin’s keyboard pieces influenced not only Bach, but composers as diverse as Brahms, Richard Strauss and Ravel. Tell us about his influence. J.S. Bach admired Couperin’s music, although he thought there were too many ornaments, and he even transcribed several of his pieces, including one that found its way into the Notebook for Anna Magdalena Bach. Johannes Brahms, the epitome of Romantic music, is an unlikely Couperin fan, but in fact his superb edition of Couperin harpsichord pieces was the edition of choice for over a century. Debussy, however, was Couperin’s greatest admirer. He considered him “the most poetic of our harpsichordists,” and wrote that his “tender sympathies resemble the echoes that emanate from the depths of the enigmatic countrysides” in Watteau’s paintings. It is no surprise that Debussy was thinking of dedicating his book of piano etudes to Couperin, but he eventually chose Chopin. A listing of upcoming First Church Boston concerts, including the Early Music Thursdays series, may be found here, and on the BMInt “Upcoming Events” page. Regarding Brahms’ familiarity with Couperin and his collaboration with Friedrich Chrysander in the publication of Couperin’s four volumes of ordres (now available in a Dover edition), I’ve always felt that Brahms’ Intermezzo, Op. 118, No. 2 owes a lot to Couperin in its use of slurs and implied polyphony. The same could be said of the organ Chorale Preludes, Op. 122. Paul Cienniwa, what welcome information. Now I know where to start to explore the Couperin/Brahms connection. Thank you. I am delighted to learn of your interest in the Couperin/Brahms connection. Brahms was indeed highly knowledgeable about early music and quite adept at using historical material in his compositions. So were many other “romantic” composer-performers of the 19th century. Ignaz Moscheles, who is well-known for his performances on an 18th-century Schudi harpsichord in the 1830s, was also was a founding member of both the London Handel Society and the Bach Gesellschaft of Leipzig and wrote his own variations to Handel’s “Harmonious Blacksmith.” Mendelssohn was adamant about adhering to what are now considered scholarly standards (i.e., “urtext”) in his edition of Handel’s “Israel and Egypt” for the London Handel Society, and it was not unusual at various times and places throughout the century to hear Chopin, Liszt, Clara Schumann, Thalberg, Mendelssohn and Moscheles performing Bach’s concertos together. OK, well I am very, very glad (and grateful to all involved) that I absconded from work yesterday to attend the concert. Not only is the concert space at First Church exquisite, but I understood for the first time what the whole controversy is about. Whereas many harpsichordists play the harpsichord in a uniformly “sublime” mode, you (Mark Kroll) allow it to express a wide range of descriptive content, from the wistful to the slapstick. So, yes: more like Watteau than, say, Charles Le Brun. Nice.